Today (Nov. 28) is Giving Tuesday, and we are proud to present the finale of our three-part series of food and farm entrepreneur stories that underscore the impact you can have by making a tax-deductible donation to FamilyFarmed. Today, we feature our Farmer Training program — built around our Wholesale Success and Direct Market Success manuals and our On-Farm Food Safety Project website — that has provided workshops for more than 13,700 farmers in 43 states on best practices in farm operations, handling, food safety, and marketing. Jen and Jeff Miller of Prairie Wind Family Farm in Grayslake, Illinois (north of Chicago) attended our Farmer Training programs in 2016 at Prairie Crossing, a pioneering “agri-hood” where 100 acres of land — including the 40 cultivated by Prairie Wind — is set aside for organic agriculture. It is also home to the Prairie Crossing Farm Business Development Center, a new-farmer incubator in which the Millers participated. Jen also serves as Director of Entrepreneurship for the Liberty Prairie Foundation. FamilyFarmed was founded with the mission of supporting local family farms like Prairie Wind, and we urge everyone to show their support by buying the great food they produce. So an endorsement of FamilyFarmed’s Farmer Training programs is especially valued when it comes from people such as Jen and Jeff, who are themselves closely connected to the urgent need for the next generation of farmers in a nation where the average age of farmers is currently 60. Your contribution on Giving Tuesday, or to our Annual Appeal that runs through the end of the year, will help in our Growing Young Farmers mission and all of our efforts to expand the market for Good Food. Explore how your Giving Tuesday contribution can have a direct impact on the Good Food ecosystem, and read about how our Good Food Accelerator program and Good Food EXPO have helped great food businesses scale up. 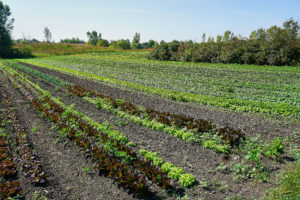 The average age of farmers in the United States is nearly 60, according to the U.S. Department of Agriculture, so the need for a new generation of young and other beginning farmers is crucial. Fortunately, there are family farmers such as Jen and Jeff Miller of Prairie Wind Family Farm, who got ahead of this curve 11 years ago and now stand as role models, especially for those considering a shift from an unrelated first career to working on the land. During a FamilyFarmed visit to their farm — located in the pioneering Prairie Crossing agri-hood in Grayslake, Illinois — Jen explained that she originally was in marketing and Jeff was a landscape architect (though he had a taste of farming from a summer job on Illinois’ Kinnickinnick Farm during college). “We decided when we had our first child that we really wanted to do something different with our lives and involve our kids in our business,” Jen said. The Millers first participated in one of the early Stateline Farm Beginnings programs presented by the Angelic Organics Learning Center in Caledonia, Illinois. Then the Millers enrolled in the Farm Business Development Center at Prairie Crossing, a suburban development where 100 acres had been set aside for organic agricultural production. They have been on the Prairie Crossing Farm ever since, though their business and roles have evolved. While in the incubator program, they created Dea Dia Organics. Jeff then segued to the position of manager for Sandhill Farm, an independent business that had taken over production on 40 of the 100 acres. The next step was a merger of Sandhill and Dea Dia into Sandhill Family Farms. Then before the 2017 growing season, the families decided to split the operation, with Sandhill moving its operation fully to its location in Brodhead, Wisconsin, and the Millers staying put while changing the name to Prairie Wind. That, however, is only part of the Millers’ ongoing relationship with Prairie Crossing, as Jen also does marketing for the Farm Business Development Center. Even with more than a decade under their belts, farming is still an ongoing learning experience for Jen and Jeff. The weather, always unpredictable year to year in the Great Lakes region, had extremes in 2017, including a 12-inch rainfall that flooded some of their fields in July. “We lost several crops, broccoli, green beans, a good portion of our tomatoes. We luckily had other plantings on higher ground that were able to compensate for it,” Jen said. 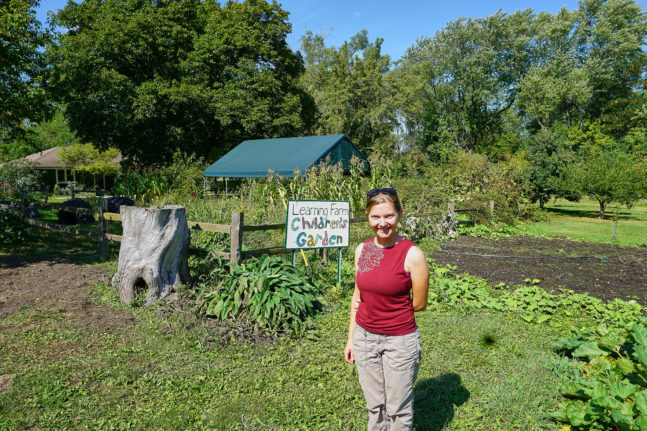 Much of Prairie Wind’s sales come from its CSA (community supported agriculture) program’s customers; Prairie Wind is part of Band of Farmers: The Chicagoland CSA Coalition, for which Jen Miller serves on the Board of Directors. And the community they have built enabled them to literally weather the storm. “Honestly, our CSA was our savior. We told them this is what happened, and we’re just doing our best to make it through the situation, and they were the ones who were saying, ‘Don’t worry about it, we understand, we’re along on the ride with you,'” said Jen. They were rewarded when wet turned to a late-summer drought, extending the season for plants such as tomatoes that thrive in those conditions. “At some points in the season, we were saying, ‘Worst season ever.’ Then later we were saying, ‘Great season!’ It’s an emotional roller coaster,” Jen said. 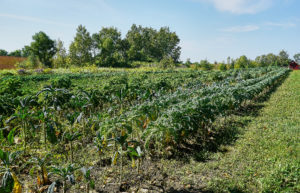 And while CSA remains the core of their business, the Millers are constantly educating themselves on other potential business opportunities that could help them grow their farm and its sales. “We are not ignoring the fact that we need to evolve as farmers and we need to make sure that we stay relevant in terms of larger opportunities and what sort of mechanization do we need to do, what sort of efficiencies do we need to have, and what sort of customers are out there wanting to purchase from people like us,” Jen said. 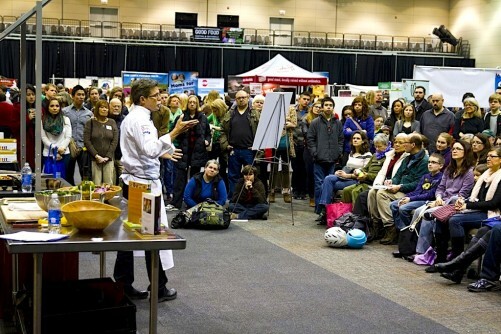 Giving their dedication to continuing education as second-career farmers, it is not surprising that Jeff and Jen signed up in February 2016 when FamilyFarmed brought its renowned Farmer Training program, led by longtime organic farmer Atina Diffley, to Grayslake — even though the Prairie Crossing Farm Development Center is itself a farmer training program. “For many years, we’ve developed Food Safety Plans and trained our staff on our approach to Food Safety on our farm. Food Safety is extremely important to us. As farmers, we are food handlers and we care about the food we grow, wash, package and deliver being high quality and safe,” Jen said. This is typical of the testimonials FamilyFarmed has received from many of the nearly 14,000 farmers who have participated in our workshops. 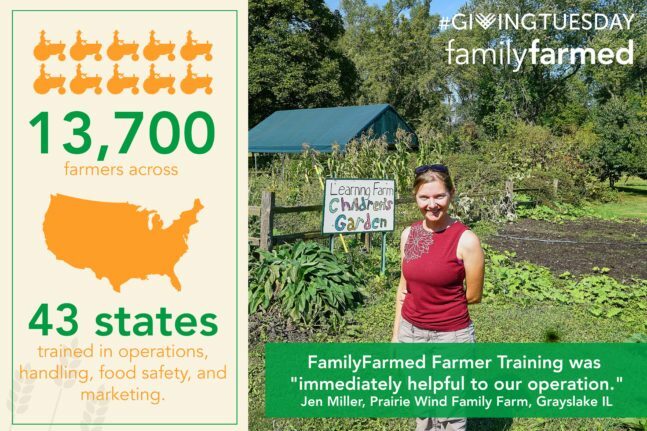 FamilyFarmed’s Farmer Training is built around three programs. 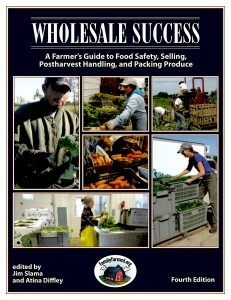 • Wholesale Success: Subtitled A Farmer’s Guide to Food Safety, Selling , Postharvest Handling, and Packing Produce, the Wholesale Success manual and associated training course builds the capacity of farmers to meet the burgeoning demand for locally/regionally grown fruits and vegetables. Adopting best practices in food safety, post-harvest handling, packing, and business management helps farmers be more efficient and profitable. 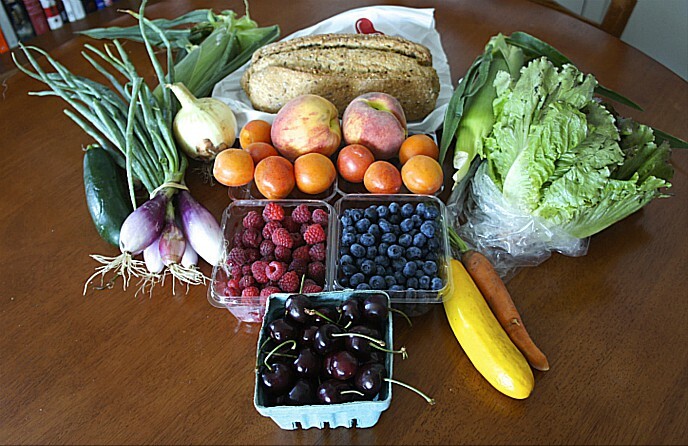 It will also give buyers an incentive to increase their purchases of locally grown food. • Direct Market Success: Launched in early 2017, Direct Market Success is a manual and workshop program aimed at the growing number of farmers, such as the Millers, who are selling farm-fresh food directly to customers. 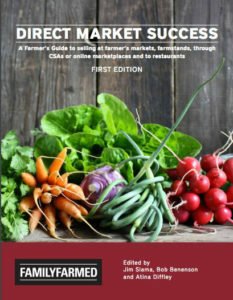 The manual is a reference for farms selling in venues such as farmers markets, CSAs and farm stands, and Direct Market Success is intended to be the definitive farmer’s guide to selling, food safety, post-harvest handling, and logistics for farmers who are seeking to enter and grow in this burgeoning consumer sector. And the manual is at the core of a program to directly train farmers — including many of the generation of newer and younger farmers who our nation so needs — in workshops to be held across the nation. • On-Farm Food Safety: Farmers, including many with small to medium-sized holdings, must deal with the consequences of the crucial need to handle food safely. Those consequences including rising demands from retail/wholesale buyers for third-party certifications and the federal government through its recently implemented FSMA regulations. 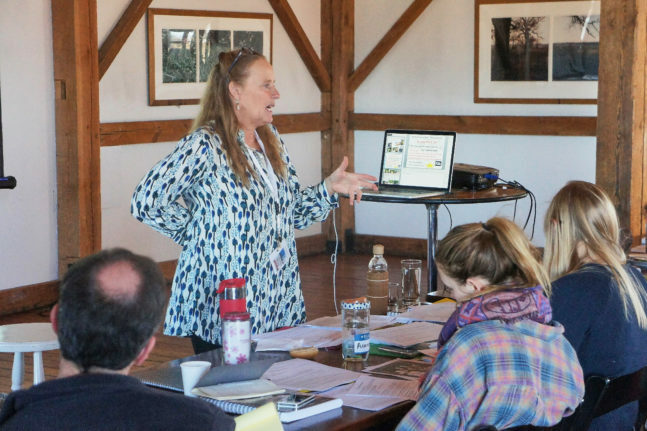 Farmers’ need to know the best practices in food safety prompted FamilyFarmed to launch a workshop program focused specifically on this issue. FamilyFarmed also produces the On-Farm Food Safety website that provides an easy-to-use tool for farmers to write their own food safety plans. Your contributions, however large or small, help us advance our Good Food goals and support the businesses and farmers who produce the Good Food we all love! Find out how your Giving Tuesday contribution can have a direct impact on the Good Food ecosystem: meet Justice of the Pies and Farmer’s Fridge. Show your support for Good Food today. This entry was posted in Community Supported Agriculture, CSAs, Direct Farm Marketing, Direct Market Success, Family Farms, Farmer training, Food safety, Growing Young Farmers, Organic farming, Small Farmers, Sustainable farming, Young farmers and tagged Angelic Organics Learning Center, Band of Farmers: The Chicagoland CSA Coalition, Direct Market Success, FamilyFarmed, FamilyFarmed Farmer Training, Farmer's Fridge, Food safety, Giving Tuesday, Good Food Accelerator, Good Food Expo, Justice of the Pies, Kinnickinnick Farm, Prairie Crossing, Prairie Crossing Farm Business Development Center, Prairie Wind Family Farm, Sandhill Family Farms, Stateline Farm Beginnings, Wholesale Success. Bookmark the permalink.